Shire Large Triangular Tongue and Groove Log Store: The Triangular Tongue and Groove Log Store by Shire is a wonderful and practical log store with a unique design. The Shire Log Store is made with planed tongue and groove boards on the exterior with an open slatted floor and open front and back for ample airflow to keep the logs dry. 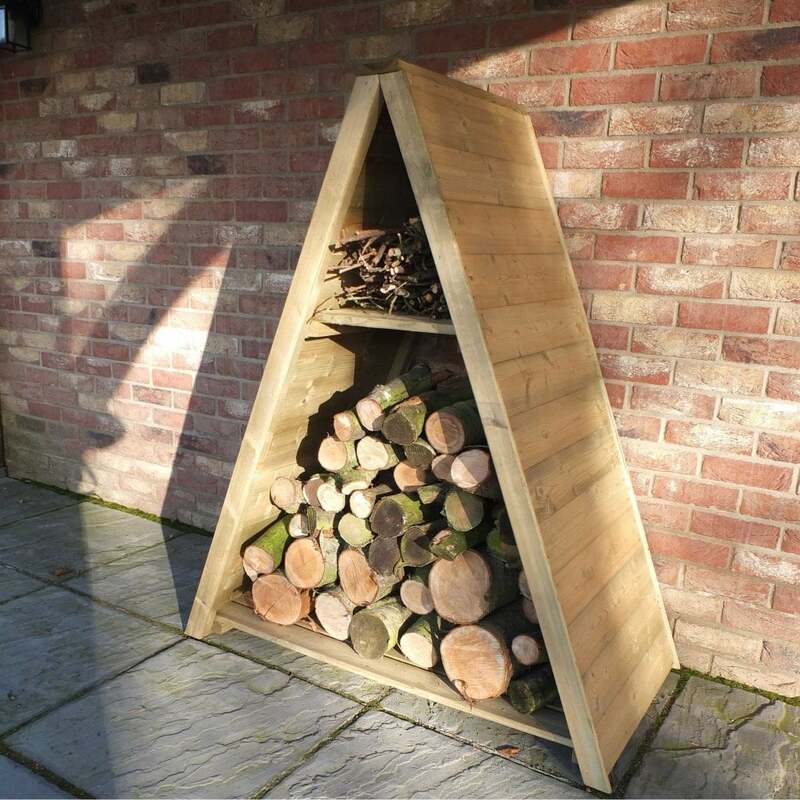 The Large Triangular Log Store is also made from pressure treated timber to reduce the risk of rot and also includes an integrated shelf perfect for storing kindling.